Weight loss surgery is just the start of the story. To succeed requires radical changes in diet and lifestyle. It demands your commitment to portion control, healthy food choices and a more active lifestyle. Certainly having weight loss surgery will help by controlling your appetite, but we include crucial aftercare support to help our patients learn how to manage their diet after surgery and introduce a manageable level of physical activity to help weight loss. We know how important good aftercare is to your success, so we provide this free of charge as part of the overall procedure package. Enter your details below to start your weight loss journey. Read more on our weight loss soultions which could benefit you. It sounds obvious, but you should aim to feel ‘comfortably full’ after a meal, never ‘stuffed’. 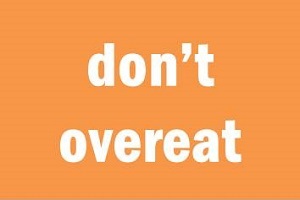 Overeating means too many calories and will lead to weight gain. Address: Mr Marcus Reddy, Parkside Hospital‎, 53 Parkside, London, SW19 5NX.